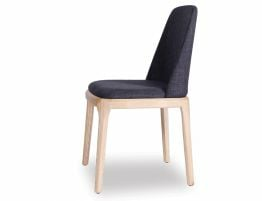 This multifunctional chair encourages a dynamic and ergonomic sitting posture and is a malleable design that looks fresh and forward nearly anywhere. 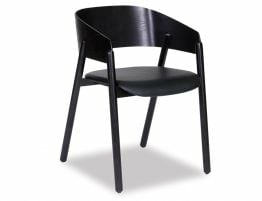 If you love designer furniture and wish you could afford expensive trend pieces, consider this Jasper Morrison Hal Wood Chair replica that is so finely crafted, we challenge you to tell the difference. 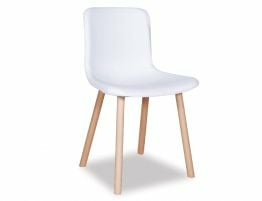 If you just want a gorgeous, well made white dining chair or desk chair, our Flex Dining Chair - White Seat is worth considering. 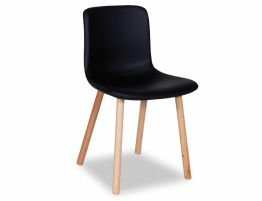 Whether you use this chair around your kitchen table, your dining table or at a desk, the Flex Dining chair offers clean forms, smooth expanses and little in the way of ornamentation giving it a clean aesthetic perfect for a modern interior space. 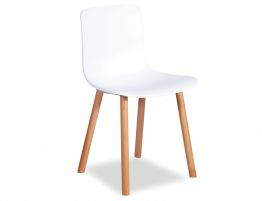 Our Flex Dining chair with Polypropylene plastic seat offers solid Beechwood legs in Natural and Walnut. Relax House is well known around Australia and beyond our shores for sourcing and stocking the highest quality furniture. 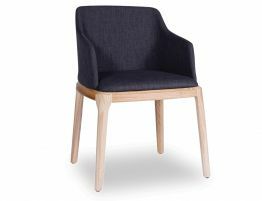 We pride ourselves on finding manufacturers committed to quality pieces that are built to last.